So you have money on Skrill (moneybookers) but you want to have it on your paypal account. How are you going to do this? Unfortunately neither Skrill or Paypal allows direct transfers through their own system from one to the other. So we need to find another, yet trustworthy way to transfer our money between the two services. When you Google “Skrill to Paypal” you will find many websites advertising a service to transfer money. However in some cases it requires you to connect with strangers who offer paypal funds in return of Skrill funds. And there is no way you can know this person can be trusted. So you would be wise to use these types of services with extreme caution. Now i will explain to you how you can transfer your Skrill to Paypal funds in a secure way. In short, you are going to use your Skrill money to buy a cryptocurrency like Bitcoin or Litecoin. Don’t panic just yet if you never used cryptocurrency before, its really easy and i will explain it step by step. So we are going to us the Bitpanda cryptocurrency exchange for this since they offer Skrill payments. Bitpanda is one of the most easy to use websites to buy Bitcoin or Altcoins. It is also one of the most trustworthy services available right now. Don’t just take my word for it, see for yourself on their Trustpilot. Just click this link and register your account. You will receive a email to the adress you used to activate your account. Once thats done, proceed with step 2. So in order for you to use all payment options on Bitpanda, you will need to verify your account. In short this means that you will have to proof that you are who you say you are. This is normal in the world of cryptocurrencies and trading in general. It is just a safety measure against money laundering or other criminal activity. Level 1 (Bronze): You will need to verify your phone number, they will just send a code to your phone and you have to fill in the code on their website to verify its yours. Level 2 (Silver): Now you will have to fill in your personal data like your full name and adress. Level 3 (Gold): Webcam (can use your phone) verification with your ID or passport and some official document stating your adress for proving you live on the adress provided. Ok i am not going to lie, when i first did step 3 i was concerned about my privacy since they wanted to see my face on webcam and me showing them my passport. Like any sane person i feared that i was being scammed or whatever. But its really nothing like that at all, its just for your and theirs protection. So this is how it works. You will be connected to a real life person on video call (just like skype) and he or she will guide you through the whole process. Since the people doing this verification were very professional, i felt my worries going away. The only thing you have to do is show your documents and thats pretty much it. Apparently this type of verification is being used regularly for opening bank accounts and the like. But it is normal to worry about this, i know i did, but in the end there was nothing to worry about. If you are still having some worries about this, ill advise you to just check the Trustpilot. There you can see reviews of actual users. So now you have your Bitpanda account ready, it is time to transfer your money from Skrill to Paypal. You can now choose any of the cryptocurrencies available on Bitpanda. I suggest you pick Bitcoin, Litecoin or Ethereum, because these are the most common and you will need a common crypto for the next step. 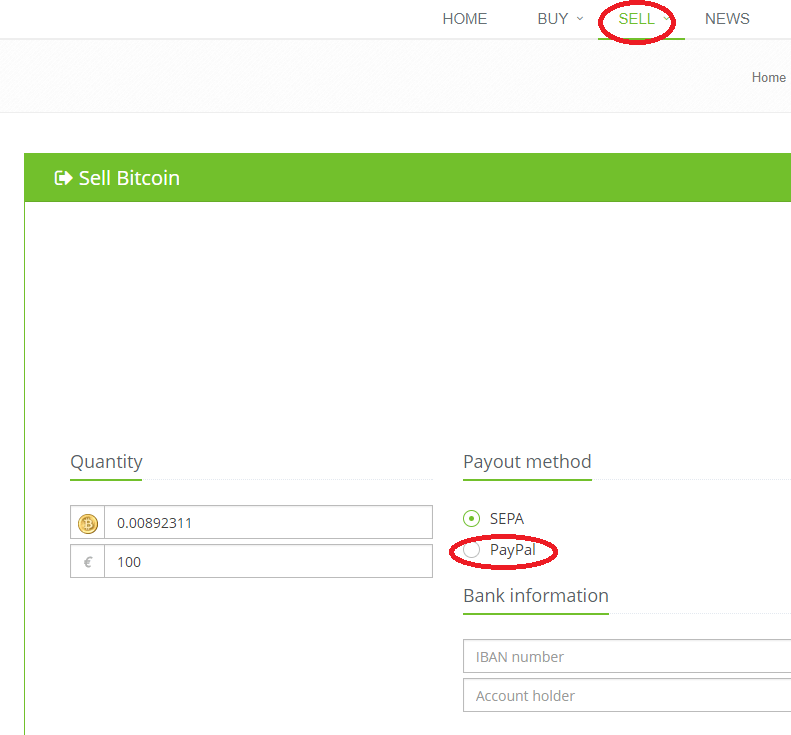 Like i said its very easy to use the Bitstamp platform. Just go to your wallet in your dashboard and click on “Buy”. 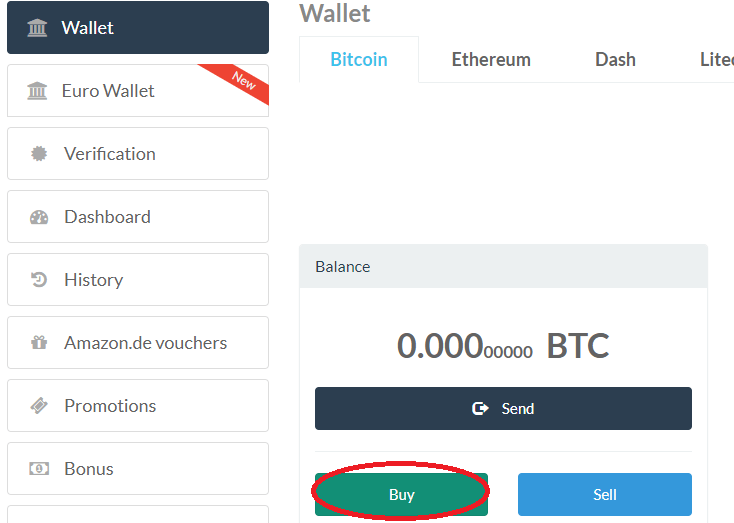 In the next screen you can choose which cryptocoin you want to buy and of course for what amount of USD or Euro. So here you choose how much money you want to transfer from your Skrill to Paypal. 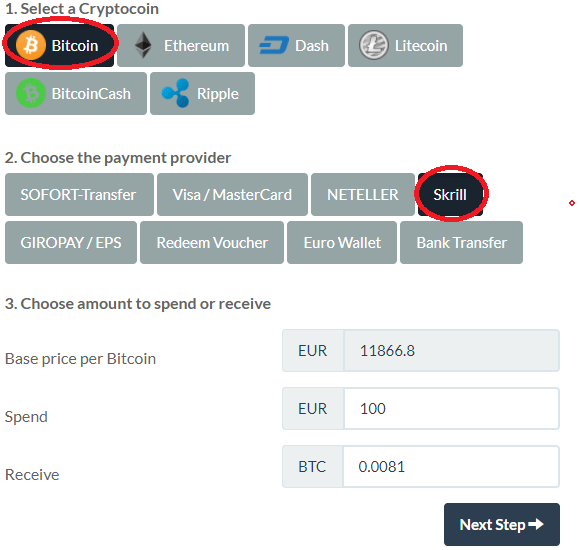 In the next step you will have another option to change your payment provider, but just let it stay on Skrill or select it again if its not on Skrill. In the final step you just use your Skrill to pay for the cryptocoins. After that, your coins will be received in your Bitpanda wallet. You can check it by going back to your wallet and select the correct wallet for the cryptocurrency you just bought. You will see the amount of coins you have and when you hover over it, you can see how much it is worth in USD or Euro. Step 4: Selling the cryptocoins using Paypal. So now we can finaly transfer our funds to Paypal. We recommend you use Anycoindirect.eu for this, since they are one of the few websites that offer payments in Paypal. If you know of any other website you maybe have used before, feel free to use that one. So if you have trust issues, which can be a good thing of course. Feel free to check out the Anycoin Direct reviews on Trust Pilot. In short, this company has been around since 2013 selling and buying cryptocoins and its located in the Netherlands, which is also my home country. I used it several times before and never had any problems with my orders. you just choose the amount and fill in your Paypal adress. So you are going to sell cryptocurrency, which means you have pay Anycoin Direct with cryptocoins. In the screen after this last one, you will see a wallet adress. You need that adress to send the coins too. So in Bitpanda, you go to your wallet which holds the coins and click “Send”. Then fill in the adress you got from Anycoin Direct and you are done! In a few minutes you will receive payment from Anycoin Direct to your Paypal account!